This pom pom trim is from Amazon and you can go with any color under the sun (quite literally with this big bucket of pom pom trim, AKA heaven). A standard sized sunhat/floppy hat will need about 2 yards of the trim, give or take a little bit depending on how big the hat is. Mine used exactly 2 yards worth! My floppy hat is from Target and it's $14!!! It's SO cute - it looks like it's one of those super expensive straw hats and it's literally under $15. (#winning) It's super simple to measure the trim; line it up around the rim of the hat and cut it accordingly. Once you cut it, hot glue the trim onto the inside rim. I glued it right at the edge so that as much of each pom pom can show! Voila! 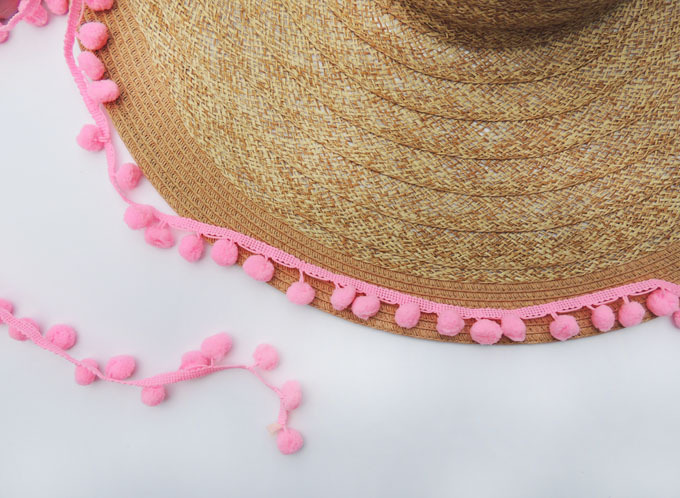 A super inexpensive, adorable sunhat to wear all summer long! ;) I love this hat and it was less than $25 to make! The best part is now if I wanted to make another one with a different colored trim, I could for even less money since I bought this big tub of pom pom trim. Is this not the cutest DIY?! I still can't get over how easy and quick it was to make. 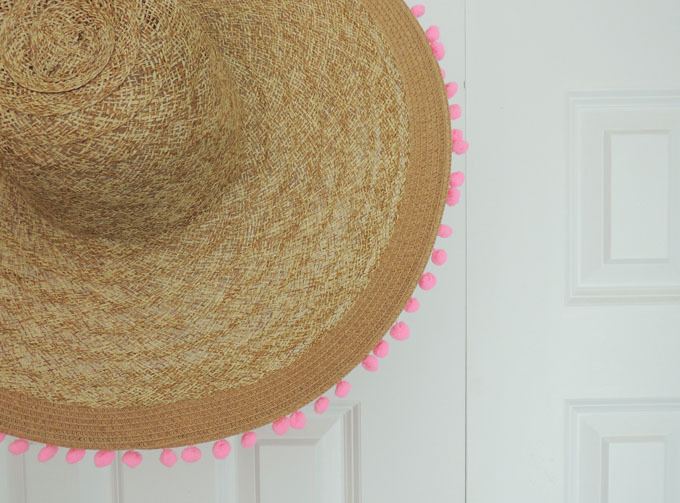 If you decide to make your own DIY pom pom sunhat, I'd love to see it! You make this seem so easy! 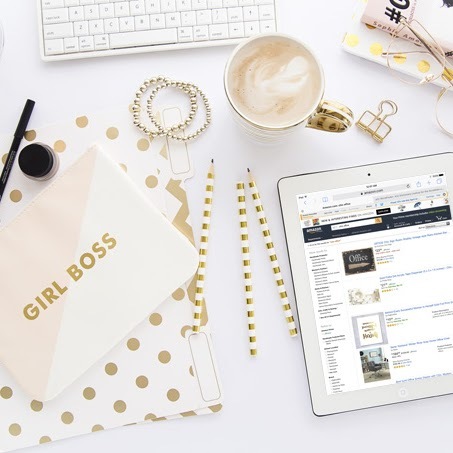 I love DIY bloggers! Such a fun and cute hat! I've got to make one myself! Seriously that is too adorable! And you could even add words on the brim with a different trim! This is so cute, I totally want to try to do this!! 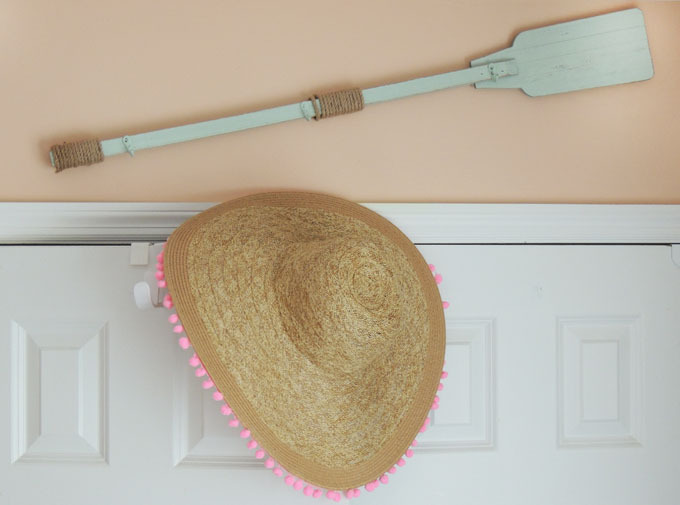 This looks so easy but really elevates a simple straw hat! It makes me want to go on vacation somewhere with a beach! That is seriously adorable. I love it. Friend of mine has a hat similar to this and I think she would love doing something like that to it. It's creative and different and it can be original I like it. This is so very cute! I'm loving all the cute hats in stores right now with pom-poms and how easy to make yourself! This makes an ordinary sun hat look like a sombrero. I love it. It is always good to have a little decoration on there. This is such a cute DIY. Perfect sun hat for summer. You know I'm all about pom poms right now! haha this came out so good! This is so cute! I totally need to try this. OMG so cute! Definitely trying this. What a great idea! I see these hats all the time, and they are so expensive. This would be so easy and so much more affordable. I need to make my own! It turned out so cute! I need to get back into doing more DIYs!! What a fun little DIY, Love that end product! This is surprisingly so easy and fun! I love it! Adorable! I will have to make this in preparation for my upcoming vacation to the beach! Wow. That is a cute hat! I could see myself wearing that while relaxing on the beach or by the pool. 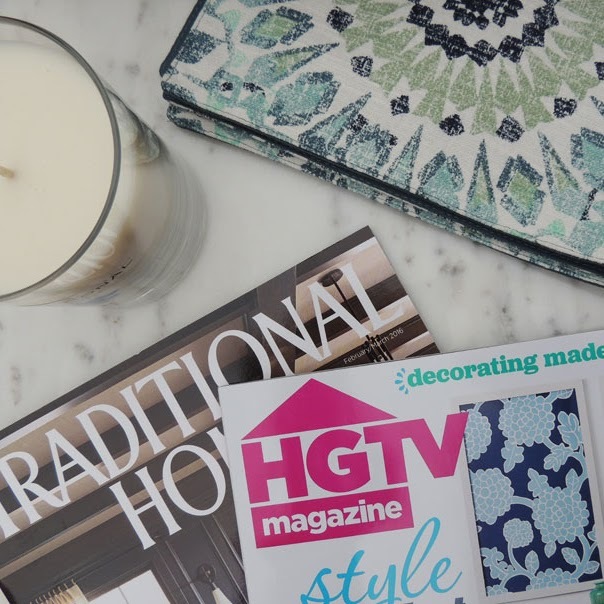 Easy DIY craft! Thanks for the idea. that was awesome! so simple but look so fab!! i like the idea! It's such an easy DIY indeed! I think it's really one of the best ways you can dress up a hat for the summer especially if you love going to music festivals! I'm going to HAVE to try this! I was just saying I want a really cute sunhat for the summer but without the crazy costs. Pom poms are so cute! I'm loving all the DIY projects that people come up with involving them. I'm dying to make a pair of pom pom earrings for myself! How cute is this hat?!?!? And it's legit seemingly easy to do! I'll have to try for my trip to Mexico in August! This is too adorable! I need to make one of these! I love the pink poms too! You are a freaking genius! I love love love this idea. I too love the pom pom trend this season and this is such a fun ways to add them to your wardrobe! Omg what a cute hat!!!! 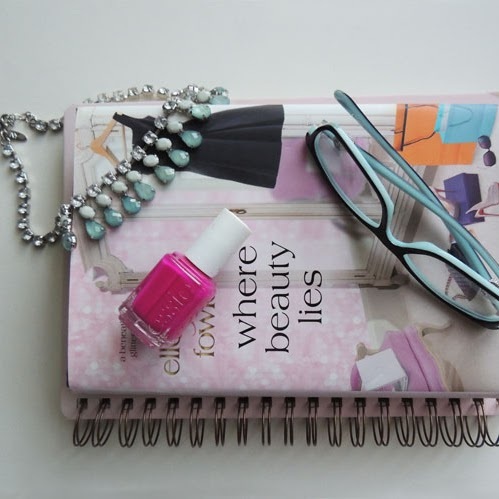 And my favorite color, pink!!! Perfect for a pool day! 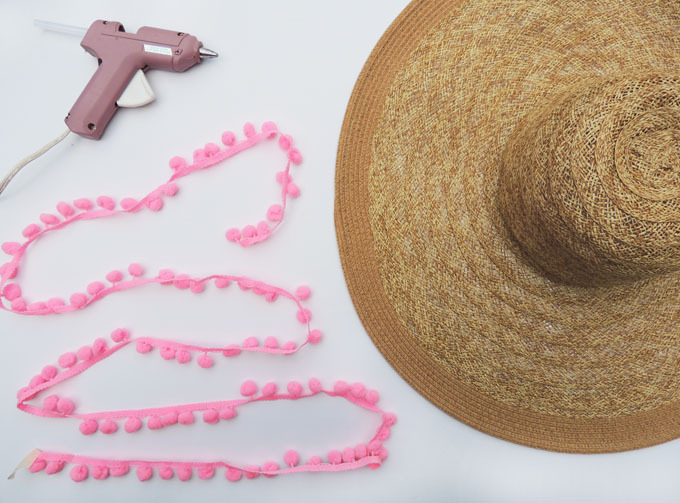 This DIY hat is so cute! Love the poms! This is so cute! 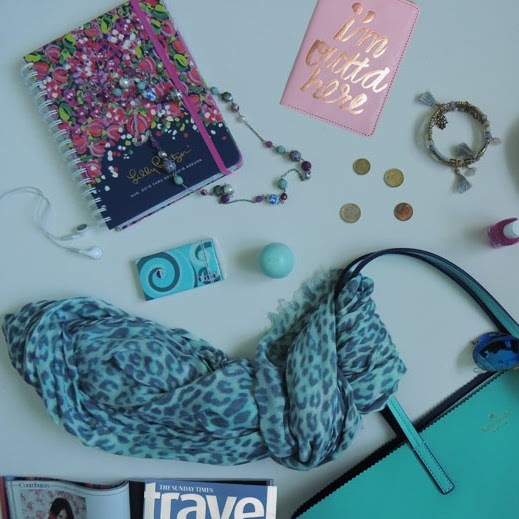 Making a DIY pom pom hat is on my list this Summer! 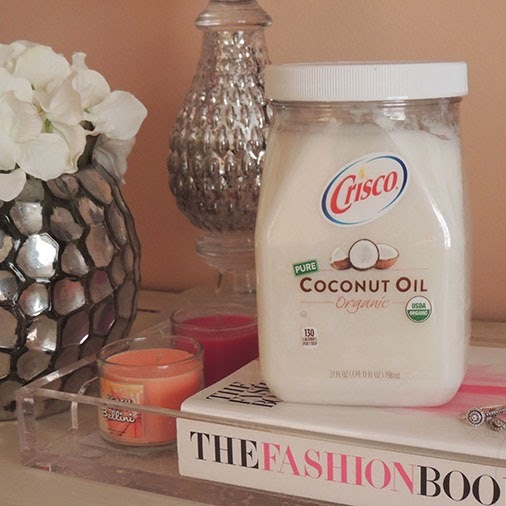 This is such a cute DIY! I love how it turned out! Well this is just the cutest thing! It would be perfect to make for a beach day. Oh my gosh how cute is this! It turned out so well! This is so cute and so easy!! 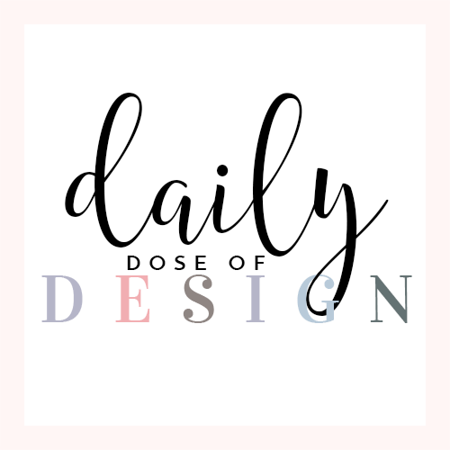 I'm all over DIY crafts for designer dupes! cute and adorable craft you made through here, so handy and the comes useful compared to the very expensive ones we get to buy out there . This hat is so cute! love it. Amazing! So cute. I love how simple embellishments can completely transform an item. I love taking plain lampshades and adding sparkly fringe. Never would have thought to add something to a hat though. I have a new project now! This hat is seriously the cutest! 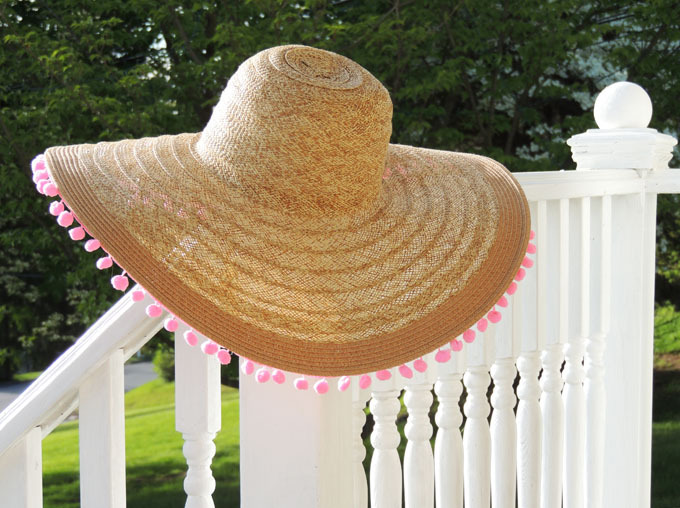 Such a great idea, especially considering floppy hats and pom poms are all the rage right now!